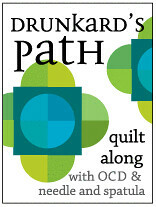 This month it’s my turn to design the quilt for the Love circle of the Do. 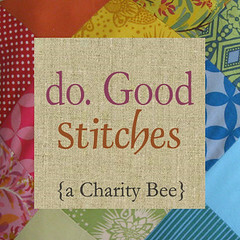 Good Stitches quilting bee. 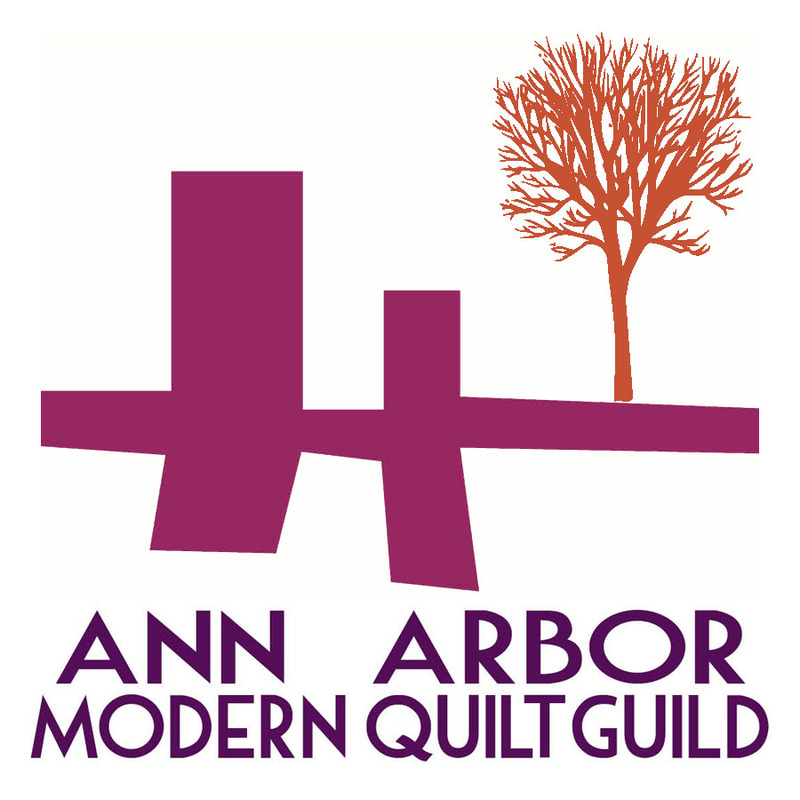 Each month, one of our members designs a quilt and all members make blocks from their own stash and send them to the quilter who puts the blocks together and finishes the quilt. Our finished quilts get sent to Wrap them in Love. I always look forward to designing the quilt, because there are so many quilts I’d like to make, and it’s awesome to have blocks made by so many friends roll in to see my design come to light! 1. 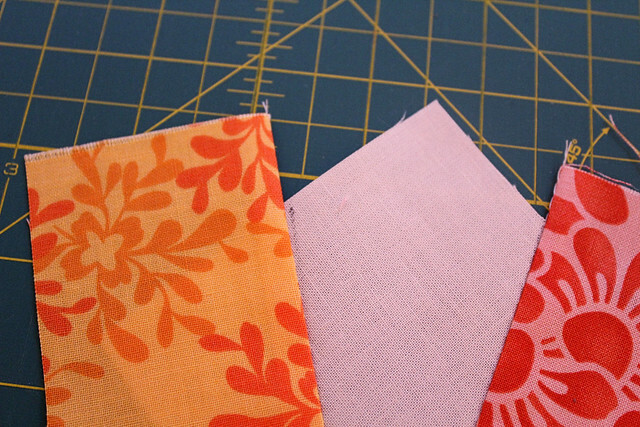 Cut 16 squares, each 3.5 inches, from neutral fabrics. (I raided my scrap bin for neutrals here, and came up with a few kona solids in different shades and a few essex linen/cotton blend fabrics, though any neutrals will work). 2. On the BACK of each neutral square, draw 2 lines emanating from one corner, and ending about halfway between the opposite sides of the square. 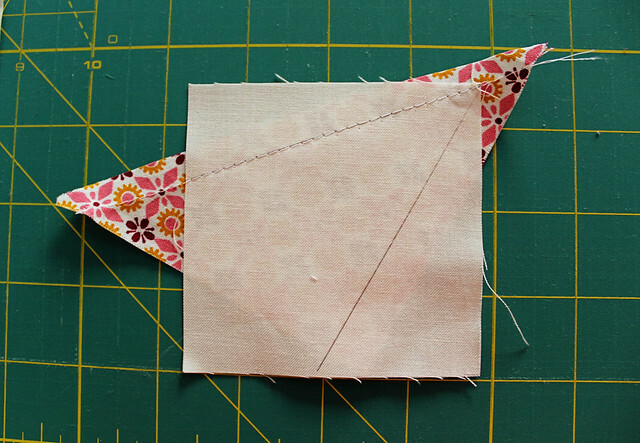 We’ll be sewing along these lines to create our pinwheel sections, so be sure to vary how wide these sections are. 4. 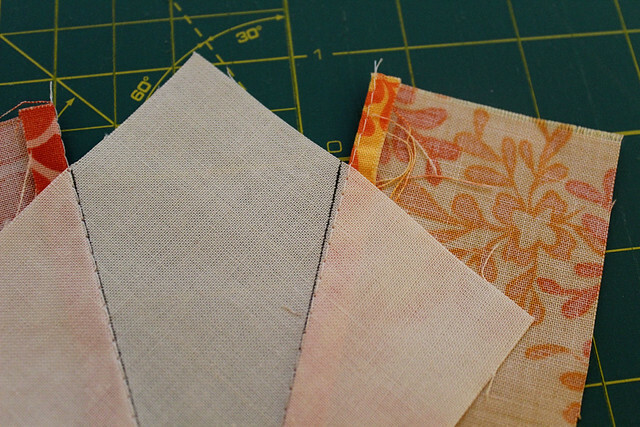 Sew directly over the line you marked on the neutral square, taking care to make sure you keep your scrap lined up so you have a quarter inch seam allowance. 5. 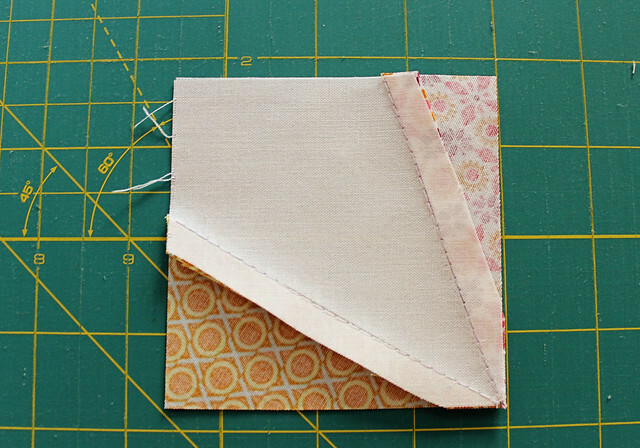 Flip your square over and press your scrap fabric up over the square. This is where you want to be sure the corner of your neutral square is covered! 6. 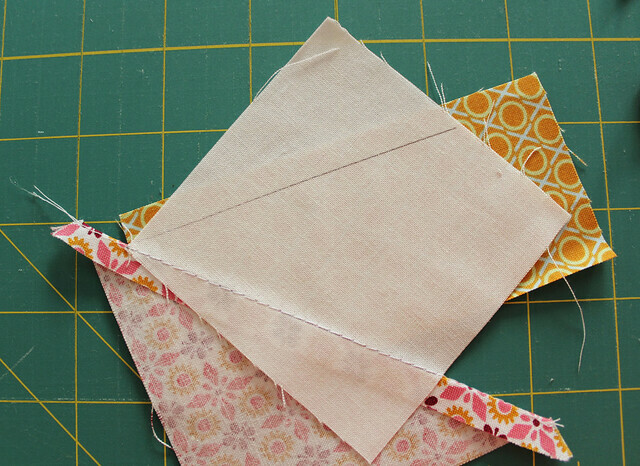 Repeat steps 3-5 and add a second scrap to the square using your other line as a guide. 7. 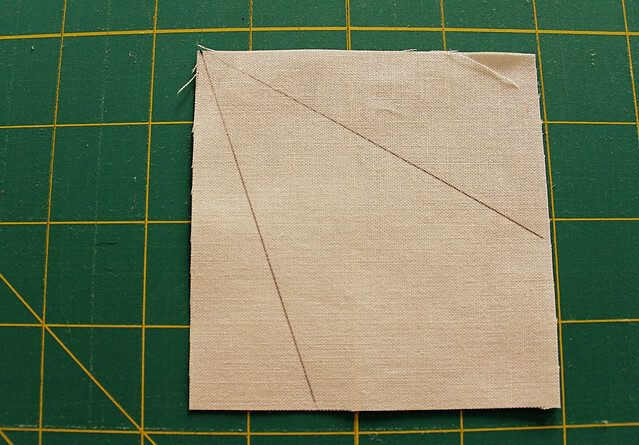 Press the second scrap, and lay your square face down on your cutting mat to trim. 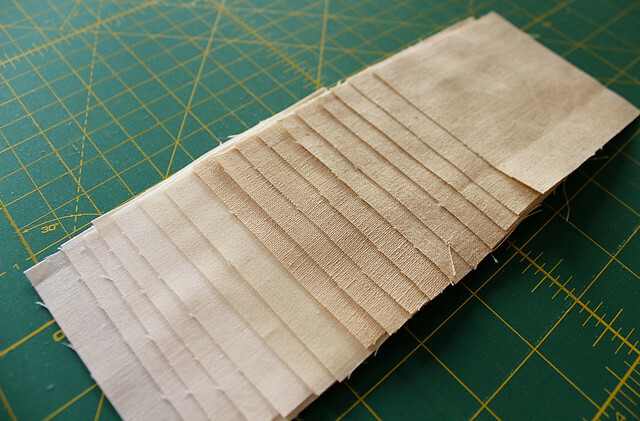 Using the neutral square as a guide, trim off the excess scrap fabric. 8. Using scissors, trim the extra scrap fabric off the back of the square, creating the usual quarter inch seam on the back of the blocks (this reduces bulk overall). 9. 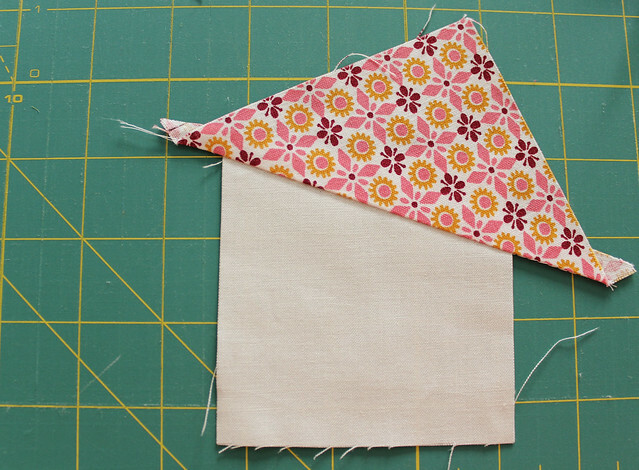 Flip your block over, and you have one small piece of your wonky pinwheel complete! As I completed blocks, I laid them out following this grid to be sure I placed the blocks correctly. It’s pretty easy to see the pattern emerge once you have a few blocks done, but with the first few I was a little disoriented, so having this visual helped! 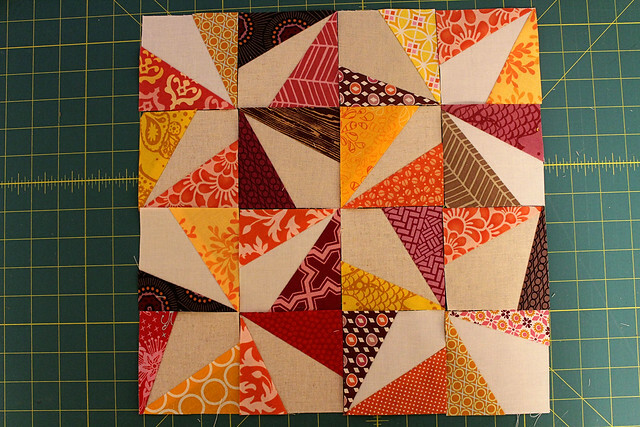 Once all blocks are complete, lay them out in the pinwheel pattern. You should have 4 pinwheels in the middle of the block, and a number of half pinwheels around the edges. When I join up all the blocks, these pinwheels will be complete! This was another reason that this block is a good scrappy choice, as this will help the pattern look continuous when the blocks are joined. I sewed my blocks into 4 rows, and then joined the rows together. Be careful to use a *scant* quarter inch seam so that your block comes out to be 12.5 inches unfinished. One small issue to address: On one block I veered off from my line slightly. When I flipped the block, I could see the line through the neutral fabric. Yikes! In this case, I simply went back to the sewing machine and re-sewed this line and it was fine. It would also be a good idea to mark your lines with a water-soluble or heat sensitive pen, as these lines will disappear completely when using steam to press your seams. And there you have it! A scrappy, wonky pinwheel block! I am in love with this, Natalie! I totally love this block, Natalie! I’m excited to make them for you this month! And the colors will be fabulous! Love the motion in these blocks! Pinwheels always have light reflecting pn tbem and your block mimics that, as well as those folds that Are a little wonky on real pinwheels! Awesome. I cannot wait to see this quilt!! oh happy day! i love these so so much! I love this look! Such a great way to use up my odd pieces of fabric. Am so pinning this. Love it! Reminds me of AMH’s shattered fabric from innocent crush. So fun! These, I can’t wait to make!! So looking forward to starting these this weekend! Oh man, these are awesome, Natalie! A definite addition to my to-do list!! Gorgeous blocks! I can’t wait to see how the top turns out. 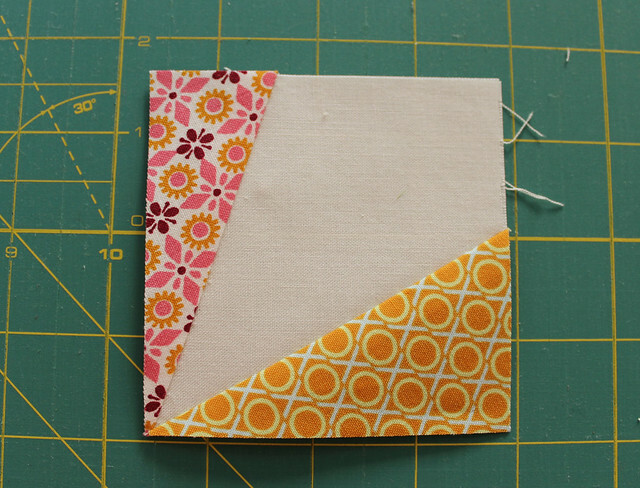 Love this block…looks like a fun way to use up scraps…thanks for the tutorial! Wow, what a cool block! I’m totally excited about making these. Thanks for the fun project! Loving the color scheme too. 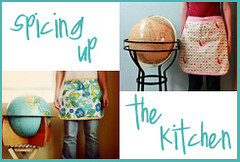 on September 4, 2012 at 5:31 pm | Reply T.
on September 4, 2012 at 5:32 pm | Reply Caitlin T.
Thanks for sharing the tutorial—this is a fabulous block! Oh, I love this! 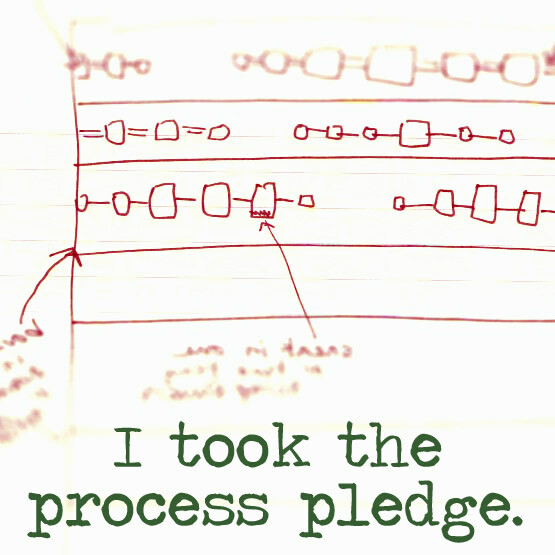 Thanks for a really cool idea…will share pictures later! This is a fabulous block! You did an excellent job writing this, your first!, tutorial. 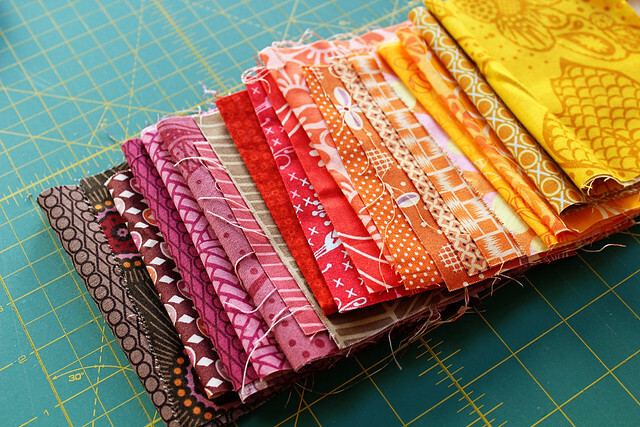 Love the colors of your scraps. Thanks for sharing. Love this! Do you mind if I have the Believe circle use this for October? 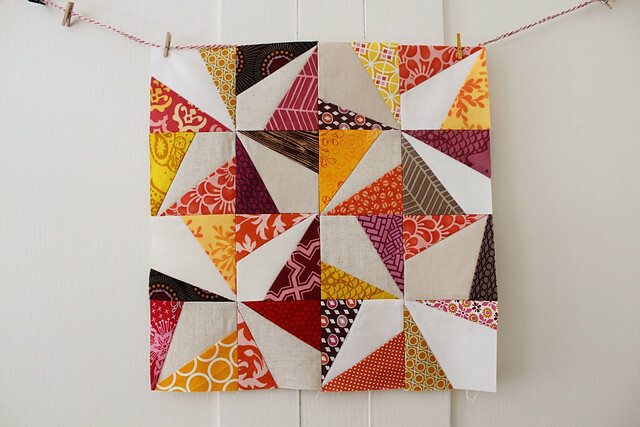 Love, love this block – am trying it today – and you did a great job writing this tutorial! Thanks so much for sharing it. Oh, this was so fun and easy! I’ve done 2 in just a few minutes. With a white background, it would be a great way to make a dent in the scrap bag! 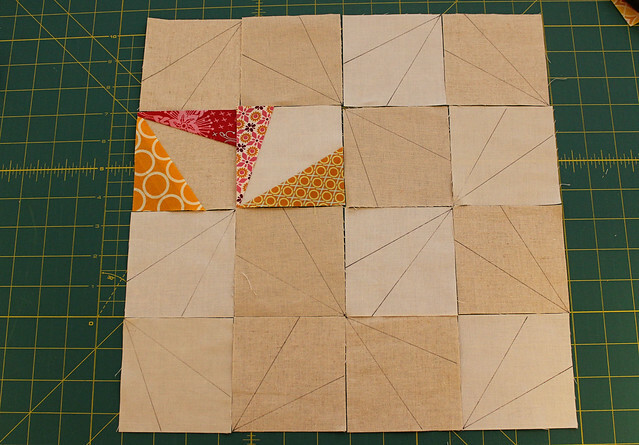 Looks like a fun block to do with scraps, I love it and am going to try it, maybe make a mug rug from a block. Thanks for the tute and for sharing. Awesome and easy block. Thank you for this tutorial. Just finished a pillow with this block! I love it! You can see it here. 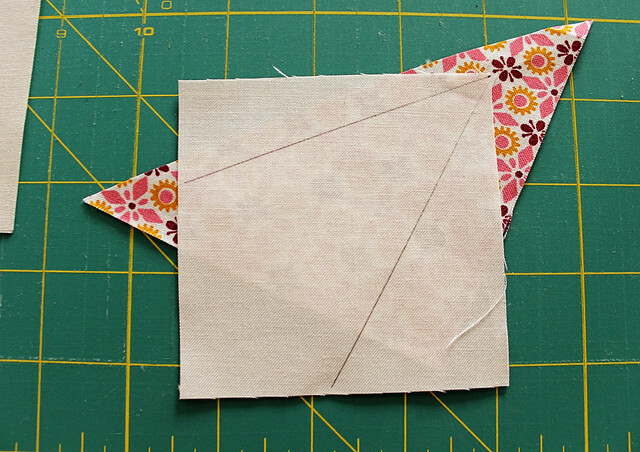 on January 31, 2013 at 10:38 am | Reply October quilt blocks… Wonky Pinwheel — Fiddlesticks & Co. I have love this quilt since I saw at our BMQG meeting! 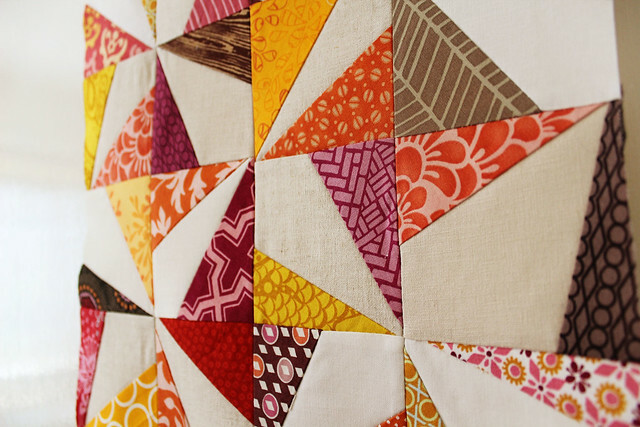 The Seacoast Modern Quilt Guild is holding a block lottery and I would love use your tutorial. Not sure what the etiquette is, is this alright with you? Thank you for making Pin Wheels fun to make!! I just love your tutorial. Nice job and color selection for your sample blocks!! I love all things wonky! 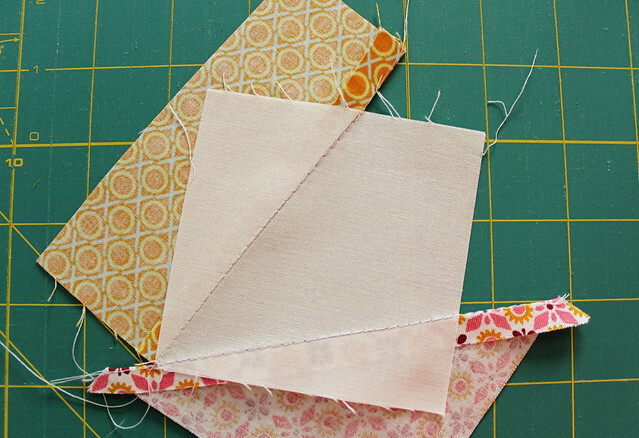 Thank you for sharing your tutorial… this is definitely on the quilty list of things to do! Boy me and 50,000 others love this block. It’s just stunning and I’m so going to be making this as soon as my sewing room is cleared up enough for me to sew – which hopefully will be tomorrow. Well I must be 50001 liker, that is such a cool idea.